I love the fact that retro video gaming is white-hot these days. I know that’s not a universal opinion, but from my seat, it’s wonderful to see new generations enjoying timeless classics from the past. Plus, it beats the days where I was the only person rushing to the store to buy Mr. Do! for the Super Nintendo on launch day and the only person on the G4TV forums who wanted them to keep running Starcade. I like to think I was just really, really, really ahead of the curve. That said, I really wish this interest from the younger generations came with more fact-checking. I suppose that’s why I’m here and all, but nonetheless, I find it alarming that these big “retro gaming fans” are so far off on how things actually went down. Recently, I took some time to read through historical conversations on social media and articles written by younger fans of older games. If I was a teacher, I’d need a big red pen. This one stood out like a sore thumb. It started when I read an article that claimed that the Super Nintendo Entertainment System “easily defeated” the challenge of the SEGA Genesis in the 16-bit era. It continued when I saw a big Facebook post poking fun at an old Genesis advertisement that took shots at Nintendo. Most of the posters talked about how Nintendo won the brand wars and many of them acted like SEGA was jobbed out in some sort of lopsided affair. In reality, SEGA lead the way for most of the 16-bit console war in North America. It took some time to get it moving and it did taper off quite dramatically at the end, but for a period of time, the SEGA Genesis was to Nintendo what Eric Bischoff was to the WWF years later. Sonic the Hedgehog was considered to be cooler than Mario, and SEGA had the edge when Mortal Kombat came out, due to allowing it to be released without “white blood” censorship. SEGA succeeded in positioning themselves as the “cool brand” to Nintendo’s “lame kids’ game” marketing. Again, I think of the Bischoff / WWF comparison that would show up later. 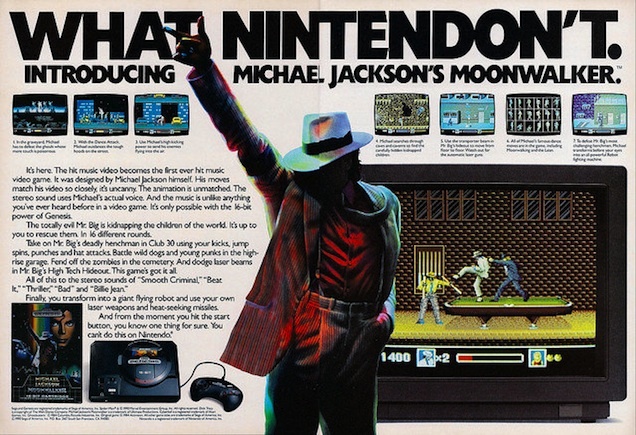 For a few years, Nintendo switched to edgier marketing strategies in order to compete, and even pulled back on content censorship after the Genesis version of Mortal Kombat dominated the sales charts. Sure, the Super Nintendo’s worldwide sales topped the Genesis’ numbers in the end. 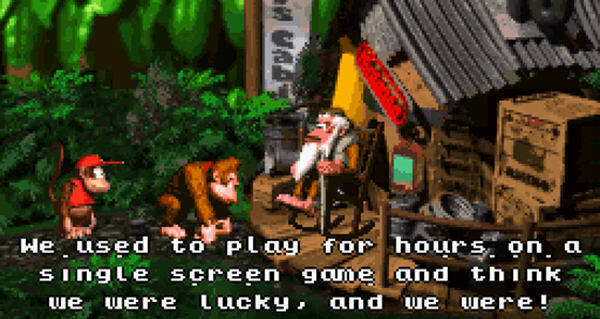 At the end of the consoles’ respective life cycles, the SNES was pulling off stuff like Donkey Kong Country while the Genesis was getting more useless add-ons than Inspector Gadget. But for a time, SEGA was carrying the ball, and the fact they did so by running head-first at a company who held over ninety percent market share at the start is amazing. I really suggest the book Console Wars by Blake J. Harris. It goes into this in great detail, and those who think SEGA was an also-ran during the 16-bit console war will learn a lot about what really happened. Many made the mistake of assuming the old console days were anything like the modern ones, where the release date of a gaming console came with great fanfare. For two of the biggest consoles of the twentieth century, this was far from the case. People attribute the Atari Video Computer System (2600) to the year 1977 and the Nintendo Entertainment System to the year 1985. I saw a lot of conversations about what it was like for players of those consoles in those years, while others acted as if the fever over those products started right out of the gate. In reality, both of them took a while to really catch on. If we’re talking about Atari VCS gamers in 1977, we’re not talking about hungry gamers who were enjoying the hot new thing. Instead, they were early adopters of a product that failed to even come close to selling through at retail. In fact, the disagreements on the next move for the console led to the events that saw Atari co-founder Nolan Bushnell leave the company in 1978, as the VCS continued to struggle to find traction. It wasn’t until two years after release that the Atari started to post good numbers, and it wasn’t until 1980 when they had the genius idea to license a home port of Space Invaders. That marked the point in time where the Atari became white hot, years after the console was officially released. Most people who enjoyed the console never owned one until somewhere between 1980 and 1982. There was a similar effect with the Nintendo Entertainment System. Too many posts referred to 1985 as “the year where Nintendo took over,” when the reality of that is far from the case. The North American video game market had gone through a massive crash that left people so concerned about video game products that Nintendo failed to bring the console to the market for years. They only got a regional test run in 1985, and while it went well, the majority of consumers were unaware it even took place. Video games were still a “dead fad” to most people at that point. 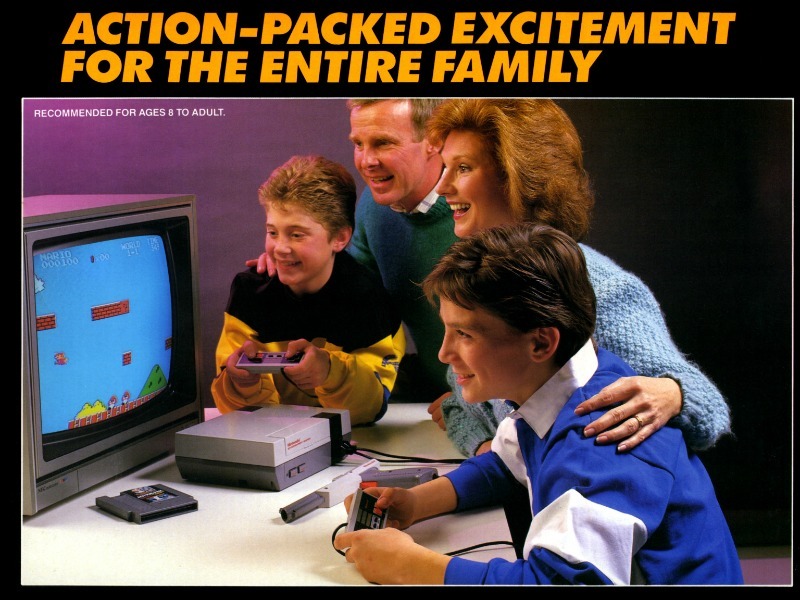 After the solid test run, the NES tested the waters more in 1986, before eventually rolling out nationally later in the year. However, it still didn’t light the country on fire. Going into 1987, there was still uncertainty about the market, and many who started to come back around to video gaming still were not sure who would lead it. Noted video game journalist Ed Semrad, for example, felt the Sega Master System and Atari 7800 consoles were superior to the NES, and others felt Atari was still the leader of the industry. The NES didn’t really take off in North America until 1988, a fact that can be noted by simply cruising YouTube for old news videos that talk about the “hot new toy” the Nintendo Entertainment System was during the 1988 holiday shopping season. And that’s just in North America, by the way – there are numerous international markets where the NES was beat by other products. Long story short, if you are talking about NES gamers from back in the day, you would most likely be speaking of a person who bought or received the console somewhere between 1988 and 1991, and so they likely did most of their 8-bit adventuring during that window. In fact, the NES was selling better in the time leading up to the release of the Super Nintendo than it was in the beginning of its life cycle. And no, the NES didn’t cause arcades grief. They had already been going through dog days — dog years, rather — by that point. If anything, the NES could be credited with helping stabilize the North American arcade industry by getting people interested in video games again, not the other way around. I’ve written over 1,200 words on the subject, and I’ve only covered two specific points. I could go on and note that the Atari versions of E.T. and Pac-Man were two of the best-selling games on the Atari and how there was never a landfill full of them; then again, if they haven’t watched Atari: Game Over yet, I’m sure details here won’t change any minds. I could launch into a whole thing about how eSports as we define it today didn’t really start until the 1990s, and that competitive video gaming started in the 1970s – not 1982 in a small Iowa town – but that’s a grander subject than we have time for today. It’s wonderful that retro gaming has such momentum right now, and I honestly hope it never ends. I hope this marks a time period where Pac-Man and Metroid become like I Love Lucy and the Beatles, remaining popular and relevant from here on out. But if we can’t get the actual facts out there now, we may never be able to. It might not seem like a big deal if a person thinks the Atari 2600 was hot in 1977, but it really is when you are talking about the history and timeline of a giant portion of the modern-day entertainment industry. If you love this stuff, study it, and study it offline. Wikipedia and Facebook conversations will never tell you as much as one of the original industry pioneers will or what a vintage book or magazine can. We need to get this right, and we need to start doing so right now.